Question: Some entrepreneurs create truly amazing products and concepts. What is their secret? Answer: Would you believe that mindset has a lot to do with answering this question? 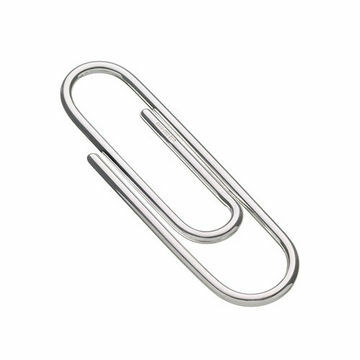 When interviewing people seeking a sales position with our firm I used to administer what I called the “paperclip test.” I would toss a paperclip to the interviewee and ask him or her to spend a moment in thought and then sell me the paperclip. Some people would first try to determine my needs – obviously an excellent practice. Most would then launch into selling me on the virtues of the paperclip. They would tell me that it was made of the finest quality metal. They would tell me that it would grab like a vise and that it was guaranteed not to tear my papers in the process. A few prospective salespeople even did a very nice job of explaining the benefits of the features they were describing. But every once in a while, there was that rare individual who went in a totally different direction. The rare person I’m talking about performed the need determination. But he or she ignored the practical reality that the object was a paperclip. I remember one individual who asked me what I was encountering that was my biggest challenge at the time. He heard me say that I needed to solve a property financing issue of some sort. He then twisted the paperclip into an abstract shape and explained that it was a unique financing tool and suggested how it was the answer I was seeking. You can see why I thought this person was a rare individual indeed. His ability to think bigger led to the discovery of a solution to my problem. And that is the differentiator. Thinking big and then thinking bigger. So here’s the challenge for each of us. When we have an idea, write it down in all its glory. Then go to the next level with it and think about all the ways you can turn it into an even bigger idea. Don’t worry if some of the things you come up with are a bit off-the-wall – that’s part of the process. The whole point is not to be satisfied with the result of your initial efforts. Push yourself to go beyond the obvious. Collaborating with your colleagues may help. The more you practice the more you can create a new mindset that will push you and your ideas into the stratosphere. This entry was posted in Entrepreneurship and tagged big ideas, enterpreneurship, Entrepreneurial Spirit, Entrepreneurs, mindset, thinking big, thinking bigger by anentrepreneurswords. Bookmark the permalink. Thanks Randy. Thinking big and thinking bigger is a way of life. I see this mindset being of great benefit for you! Here’s a popular question I’m sure: how does one deal with friends/family thinking your NUTS when you write down that big idea? 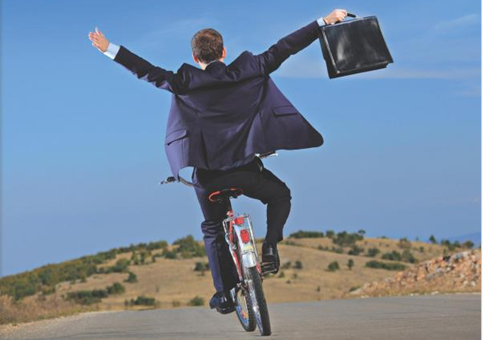 You’ll face a lot of doubt and skepticism as an entrepreneur. One of the most famous stories to exemplify this involved Wilbur and Orville Wright. Had they listened to their critics, we may never have had the airplane! I’ve learned not to be too concerned about what others think except to carefully listen to what is truly constructive criticism. Beyond that, any sniping or less-than-helpful chatter is nothing but noise. As an entrepreneur you’ll develop some very thick skin to protect you from the negative energy that others may direct your way. Where family and friends are concerned try to understand the motivation behind their disapproval. Perhaps they are truly concerned that you might get hurt. If that’s the case, then assess the situation and determine if they could be correct. If the answer is yes, then you may want to consider developing risk mitigation strategies. If they are jealous it’s probably worth ignoring. Above all, continue to think big and then think bigger. Shape and re-shape your idea using all of the data you can find. The process of refinement is invaluable and will help validate your idea even if others continue to let you know they aren’t so sure about it. You CAN reach your objective if you stay in the factual realm and don’t let the emotions of others obscure your big idea.